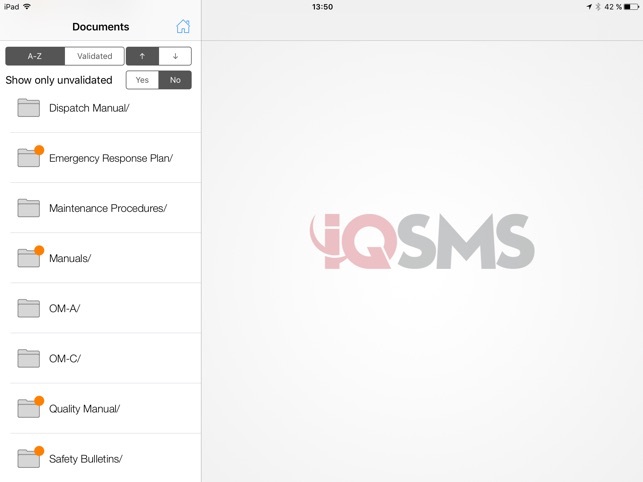 iPad Document Distribution Tool for IQSMS clients. 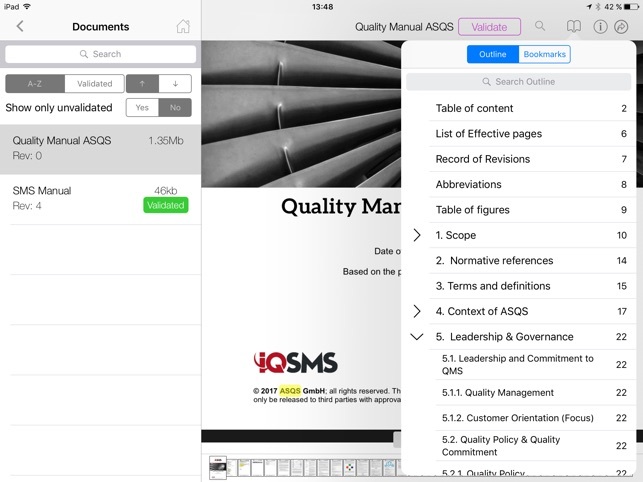 IQSMS iPad Document Distribution Tool enables a smart and simple way to read documents, where no internet access is available as well as to track that all users positively confirmed receipt of documents. 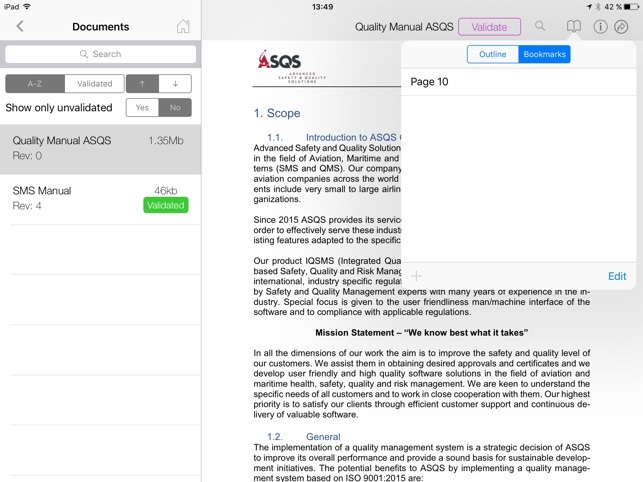 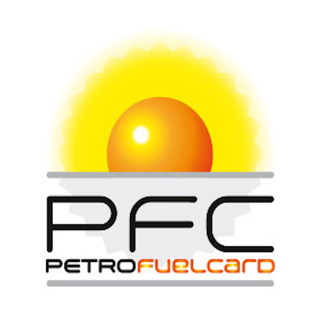 The App provides an overview of all documents which are available for download for each user individually. 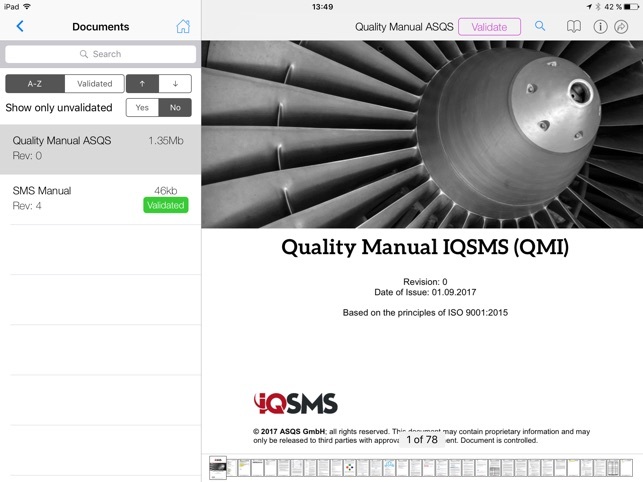 All downloaded manuals remain available on the iPad for access and to read also if no internet connection is available. 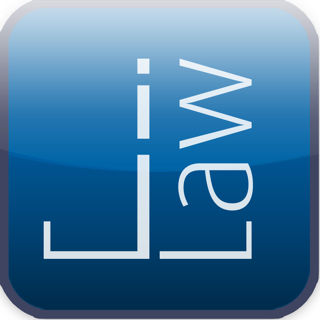 Automatic tracking of user access to the downloaded documents is ensured as well as a validation process for document distribution. 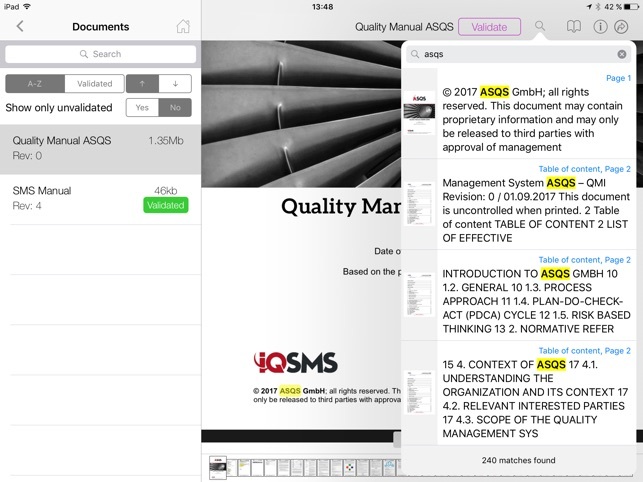 Offline validation and document access is automatically synchronized with the IQSMS server as soon as internet access is re-established.